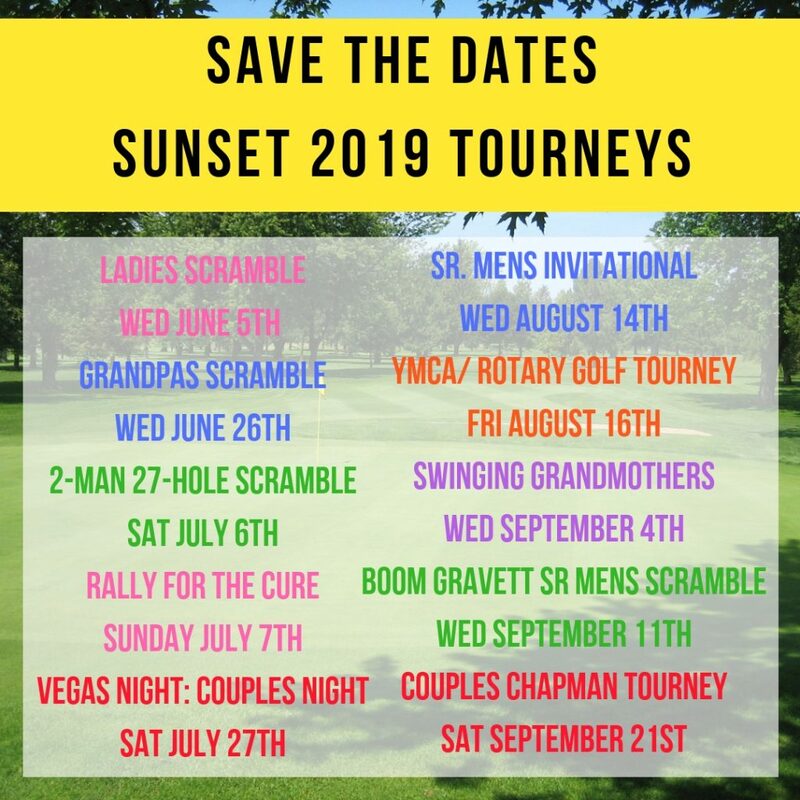 SAVE THE DATES: Our 2019 IN HOUSE Tournament schedule is ready for you to pencil us into your calendars. Tournament posters are posted under the Tournament section of the website. WE ARE OPEN: Click link below for the details. © 2017-2019 Goderich Sunset Golf Club. All Rights Reserved. Website by Dot Net Computers.